Dr. Anmol Sethi is an experienced radiologist having vast experience especially in Ultrasongraphy & Color Doppler. 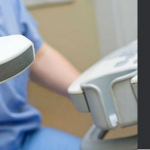 He has worked on most of the advanced Ultrasound and Colour Doppler systems at the best centres around the world. 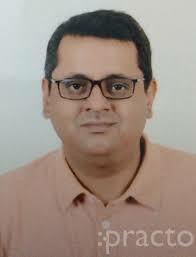 Dr. Sethi did his graduation from KIMS, Maharashtra followed it up with specialization in radiology from prestigious Indira Gandhi Medical College, Shimla. After completing his post graduation from IGMC he went to United Kingdom (UK) and got the opportunity to work with some of the best hospitals in UK. He worked in UK for 5 years at King George Hospital, London, Queen Elizabeth Hospital, Birmingham and Leicester Royal Infirmary, Leicester. After Coming to India he worked with Max Hospital, Gurgaon as Consultant Radiologist. 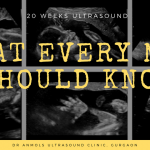 Two years back he started Dr Anmol’s Ultrasound Clinic at Nirvana Courtyard in Gurgaon. In the year 2012 he procured the most advanced 4D Colour Doppler machine from GE – Voluson E8.